Have you ever had to waste ten minutes hunting around on someone's website for their pricing? Yeah, we hate that too. At Bonnie Bryant Creative, we believe in being transparent when it comes to our services, our pricing, and the killer value you'll get for your investment. you can find our most popular services and "starting at" prices listed below. when we have our virtual coffee date, we'll be able to learn more about your needs and send you a detailed proposal. Bundle our services together and save, leaving you WITH more cash for cappuccinos. comprehensive brand submark design - we go beyond "just a logo"
Need something else? We can do it! If we can’t? Unlikely, but we’ll refer you to someone amazing who can (we know a lot of cool people). Just need super amazing business stationery that'll make people say "Wow?" INVESTMENT: $350 for the design - printing is additional, but we pass along our wholesale discount and project manage the printing process for you. You did your own site or someone else did it for you… but your SEO is nonexistent. INCLUDES: team member Mariah does keyword + industry research, a competitor analysis, technical SEO setup, on-page SEO implementation of up to 8 landing pages + 3 blog posts, and a custom SEO report. Bonnie writes full SEO-friendly web copy. 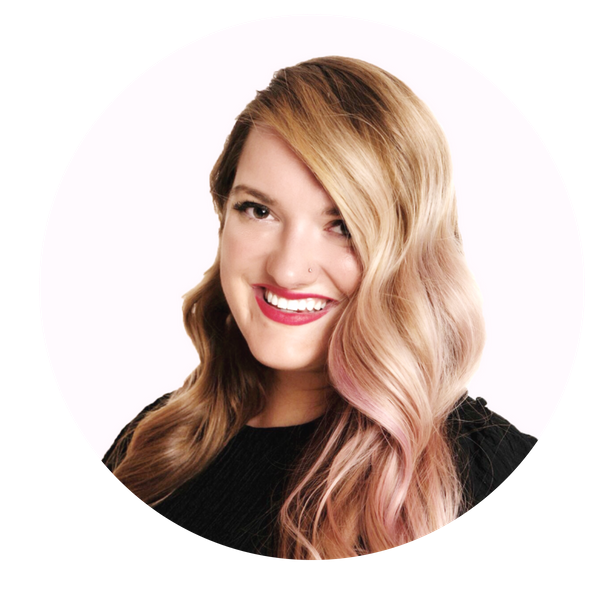 A charming, engaging, and informative public speaker, Bonnie is available to speak to your conference, workshop, or retreat on topics including building an authentic brand, finding the confidence to take the leap into entrepreneurship, and more. Our incredible photographer Tessie Reveliotis always captures your best side. INCLUDES: one hour of shooting time of branded business portraits with multiple outfit changes and branded product photography with Tessie Reveliotis. INVESTMENT: Starting at $600 for up to 10 final images of your choice; additional images available for an extra fee. Want someone to take over your blog posts with SEO-friendly copy? INCLUDES: post title, 500-750 word blog post, content written in your brand voice and in SEO-friendly copy, and a handy dandy branded graphic for each post. Bonnie loves taking on freelance illustration and graphic design projects. She's done it all for clients big and small: sales brochures, custom illustrations, corporate holiday cards, brand illustrations, save the dates, social media graphics, product catalogues, and beyond. Ready to get started? Have questions? book your virtual coffee date here. DO YOU OFFER A PAYMENT PLAN? Yes! We totally understand that this is a major investment for you. We have a few flexible payment plans available, depending on your needs. HOW LONG DOES IT TAKE? It depends on the scope of your project, but usually 3-6 weeks. DO YOU WORK WITH PEOPLE FROM ALL OVER? We happily work with clients from sea to shining sea. HOW DO I GET STARTED? We do our virtual coffee dates so we can get to know you and make sure it's a good fit. IS YOUR VIRTUAL COFFEE DATE JUST A SALES PITCH? EW. NO. We HATE when people trap us on the phone to sell us crap. We've found that it's best to get to know your needs before sending you a proposal, and it's easiest to do it over the phone than over email. We spend 10 minutes chatting and going over our informal question list with you, answer any questions you have, and make sure that we're a good match. No strings attached, and we send you a Starbucks gift card afterwards! CAN WE MEET IN PERSON? If you live on Long Island or in NYC, we'd love to meet you in person and do a real-life coffee date! DO I ACTUALLY WORK WITH YOU, OR DO YOU HAVE A TEAM OF ROBOTS DOING ALL THE WORK? You work directly with Bonnie and her kickass team. Bonnie project-manages each project, writes the copy, creates all your logos and brand design collateral herself, and does the design of your website. Mariah does the website strategy and SEO. Laura does the social media audit. If you opt to get a brand photoshoot, Tessie does that. We take good care of our clients the whole way through! I JUST WANT A WEBSITE. CAN YOU DO THAT? Sometimes. If you want us to do your brand design, too: absolutely. If you have a professionally designed, comprehensive brand from someone else (fonts, brand marks and alternate logos, brand colors, etc): a resounding yes. If you have a logo but nothing else in your brand arsenal: probably not. We create beautifully branded websites that require a full, thoughtfully designed, fleshed out brand design. If you can’t provide us with specific fonts, hex codes, and all of the brand marks we need, your site design will not be as effective. DO YOU JUST DO SQUARESPACE SITES? No! Our team is also available to do Wordpress sites. Those need to be custom quoted on a per-project basis, so get in touch with us via a virtual coffee date to discuss. I CAN GET A LOGO ON ETSY FOR $30. WHY ARE YOURS SO MUCH MORE THAN THAT? Our logos and brand design elements are completely custom pieces of art, made especially for you. We summon our years of branding and marketing experience and know-how and distill it into a brand design that is designed to connect with your target customers. We hand-illustrate our designs and add all sorts of custom elements to them. What DON'T we do? Slap your business name on a premade logo template that everyone and their mom has. We go more into detail about this here! DO YOU ONLY WORK WITH WOMEN/CREATIVES/CAT PEOPLE/PEOPLE WHO LOVE COFFEE? Nope. We've worked with clients from pretty much any industry, from wedding planners to mechanical pump manufacturers (yes, for real). It doesn't matter your niche - all we care about is that you're passionate about your business. We also pride ourselves on being able to capture any style and brand voice. CAN I READ CLIENT REVIEWS? Yup - you can do that here! I LOVE YOUR VIBE AND ENERGY - CAN YOU SPEAK AT MY EVENT? Um, yes!!! Shoot over an email at hello@bonniebryantcreative.com.